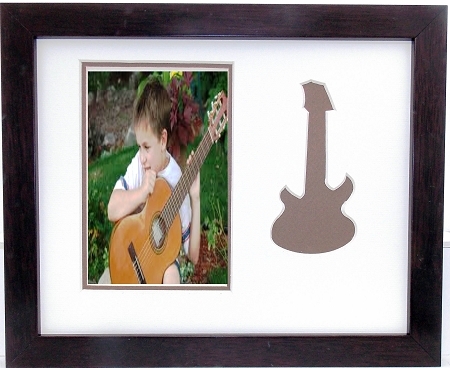 Wall mount photo frame with a silhouette of a brown guitar includes wall hanging system, brown wood flat frame with creme & brown mats. Unit is easily removable for adding a photo. Overall size of frame is 9-1/2 x 11 holding a 5x7 photo with photo mount board, glass and wall mount system.